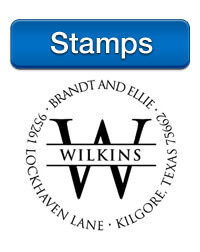 Personalized Stamps & Embossers perfect for the home & office. A personalized and custom stamp or embosser is more than just an impression, it's an artful meaning unique to each individual. Whether it's a return address on an envelope, a monogram used on personalized stationery, or simply a gesture of gratitude on a gift tag, each was carefully and thoughtfully designed to be one of a kind that no one else will have. Each Stamp or Embosser is created and personalized by you to leave a lasting impression that will last a life time. At StationeryXpress we have built and sourced our stamps on one basic mentality, providing you with the very best stamps and embossers available today. StationeryXpress takes great pride in every stamp and embossing unit; from trendy designs and hand made custom polymers, to the exquisite packaging and shipping of each product! 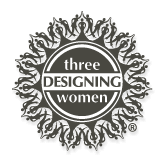 We love providing our customers with the very best impressions and hope that each purchase of your custom design brings you joy and a smile for years to come. The days of messy stampers and ink spills are over! When you shop with StationeryXpress, all you need is one stamper or embosser device to use with as many clips as you wish. Have one clip with your address, one with your monogram, one for the holiday cards, one for the office or work, and so many more! Each design can be interchanged with ease, and of course, no mess! There is never any pealing and sticking of your design so you never have to worry about a crooked impression, it will be a perfect fit every time. 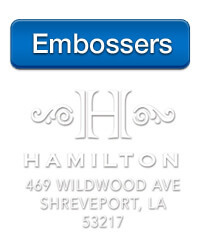 Our stampers and embossers produce the best impressions every single time. Our polymers are made with great precision and allow for much finer detail than other rubber stamps. 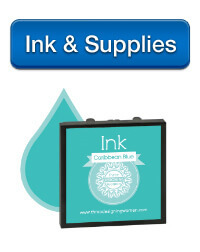 Each ink cartridge yields over 1,000 impressions and uses only the highest quality inks producing beautiful, highly saturated colors and details with each stamp. Stamps and Embossers make great office gifts, couples gifts, birthday gifts, family gifts and more. When someone receives a personalized stamp or embosser with their name on it, they know it was made just for them. It's special because it's unique and one a kind. Need a hand? Contact us! Our friendly and professional team with assist you along the way while you create and personalize your perfect stamp or embosser for yourself, a friend or family member.